Love that classic comic book vibe? If you’ve lost your sense of excitement and adventure when it comes to learning Italian, bring it back by incorporating some of Italy’s best comic books in your reading routine. These stories will draw you into the Italian language and give an emphatic “Pow!” to those walls of text and grammar exercises. Think about it. Who wants to stare down a looming copy of works by Eco or Dante to improve your language skills? There are so many words…so many pages… If walls of text aren’t your thing, the only word you’ll learn from reading giant Italian tomes is auito! (help!). Luckily, there’s another way. Are you ready for spaghetti Western action, hordes of demonic beasts and side-splitting satire to turn you into an Italian marvel? Welcome to the world of Italian comics. Learning Italian with comics is more than a fun way to learn. Italians adore their fumetti (the Italian word for comics, literally translated to “little puffs of smoke” after the speech bubbles). They cherish their favorite stories and artists to a much different degree than other countries, making the medium a big part of Italian culture. You may think of comics as pulpy, violent stories for teenagers. In Italy, this isn’t the case. Italy has a rich tradition of comics going back over a century. The writers and artists are known by everyone, and readers come from all walks of life. You’re just as likely to see a six-year-old with a comic book as you are to see one on the bedside table of a sixty-year-old. This means that you won’t just be reading about superheroes and good vs. evil, but that you’ll be exposed to a much broader category of dialogue ranging from simple comedy to complex social and political issues. Reading comics in Italian isn’t just for learning Italian; it’s a street-level view of Italian culture itself. Why Learn Italian by Reading Comics? Is reading comics in Italian really an easier way to learn? We can’t speak for everybody, but reading comics definitely has advantages. Here are a few reasons why learning Italian with comics has put so many on the road to fluency. Imagine I’m trying to explain the word telefono (phone) to you in Italian. After a few minutes of trying to get my point across, you’d probably ask why I didn’t just reach in my pocket and point to my phone. Images, when paired with language, make for a more integrated learning experience (why do you think all classrooms have chalkboards?). Comics help you to learn faster by pairing every bit of writing with an image of what’s being described. Reading books in a foreign language will be a much slower process than reading in your mother tongue. This can make the slow parts slog on at an unbearable pace. Reading comics remedies this because the images make lengthy character or location descriptions unnecessary. When you get to the good stuff faster, the story is easier to get sucked into, and you’ll pick up new words with less effort. Italian novels contain a lot of complex grammar that you wouldn’t necessarily use in the real world. Comics, on the other hand, use colloquial language, slang and the same Italian you would hear on a busy, cobblestone street in Rome. Not only that, but clear dialogue and social cues from the pictures give you all you need to start speaking right away. It’s much easier to choose a comic that’s appropriate for your level of Italian than to choose a book. Because so many Italians read comics, there’s something for everyone. If you want to start off slow, you can look to the childhood classic “Topolino” (Micky Mouse). If you’re looking for something a bit more complicated, you can delve into the spooky world of “Dylan Dog” for more complex vocab and grammar. Want another exciting way to learn? Wish you could get all the benefits of these comics, but in video format? FluentU’s got you covered! FluentU takes real-world videos—like music videos, movie trailers, news and inspiring talks—and turns them into personalized language learning lessons. It’s an entertaining method to immerse yourself in Italian the way native speakers really use it, while actively building your vocabulary. Now, are you ready to get your hands on some of Italy’s best comics? We’ve done all the page flipping to bring you this guide complete with comics from a wide range of difficulty levels and genres. Let’s get to it! The adventures of Mickey Mouse, or “Topolino” as he’s known in Italy, is one of the longest-running and most beloved comics in the country. But isn’t Mickey Mouse American? Yes, he is an American creation, but the Italian comics are a canon all their own, meaning “Topolino” is 100% Italian. The series started in 1932 and is still going strong today. Because of its uninterrupted success, it enjoys a readership of all ages despite being intended for children. Many Italians started when they were young and simply never gave it up. 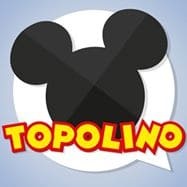 “Topolino” is one of the first things Italians read in their own language, and it can be a useful beginning tool for learners as well. It contains sparse and simple dialogue, with many sentences containing only a few words. The jokes are to the point and backed by clear images, and the language used is witty but lacks complicated slang or puns. The grammar is also very accessible, rarely diverting from simple present, past and future tenses. You’ll need a bit of Italian before cracking an issue of “Topolino,” but you should be able to move through it pretty quick with nothing more than the basics. If you’re struggling, take a crash course to sharpen your skills. 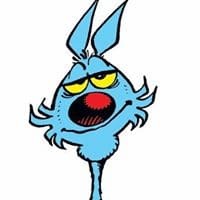 “Lupo Alberto” (“Albert the Wolf”) recounts the exploits of a sassy blue wolf named Alberto, who constantly seeks to free his girlfriend (a hen named Marta) from the farm where she’s kept by dim-witted farmers. Alberto, much like Wile E. Coyote, is always having his plots foiled in hilarious and creative ways. As a language learner, this allows for a step up from elementary to more complex grammar and vocabulary without going too far into advanced structures and dialogues. The conversations remain light and fun, and the sentences are just slightly longer and more complex than “Topolino.” The difference here lies in the use of colloquial language and slang that teens connect with. Search Google for slang instead of using a translator. You’re more likely to find the phrase explained on a website than to get an accurate translation. Visit the English “Albert the Wolf” blog. You can find some English translations here as well as contact the “Lupo Alberto” team. Why are so many classic American western movies made by Italians? It probably has something to do with Tex Willer, the original cowboy archetype and western hero. During its 67-year run, it defined the cowboy persona far ahead of its time. Tex always fought for good, despite how the law defined it. He even fought for the rights of the Native Americans before these discussions were politically correct in many settings. 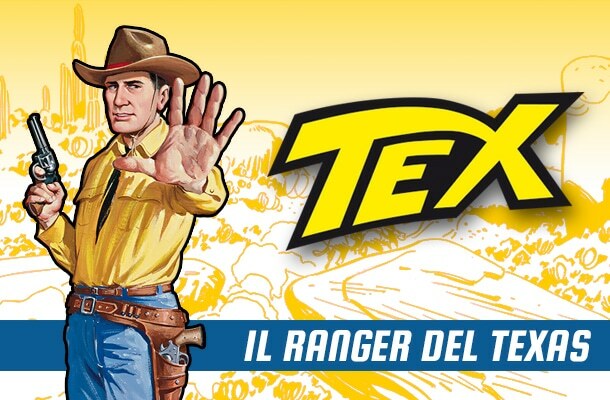 “Tex” is a great read for Italian learners because it is, at heart, a superhero story. Tex is a force of good vs. evil, and because the characters are clearly defined, it’s easier to distinguish what they’re communicating. But it’s not all fun and games. Tex delves into some moral issues that require more complicated grammar, and if you’re reading older issues (the series started in 1948), the language will inevitably be different. If you’re looking for a bit of nostalgia and ready for a challenge, saddle up and give “Tex” a go. Dylan Dog, another superhero of sorts, is as flawed as he is likable. He’s constantly bumbling through life, getting his heart broken in issue after issue and having to constantly deal with his boyish clumsiness, motion-sickness and anxieties. And then there are the demons. “Dylan Dog” is a horror serial about a very unlikely hero who investigates paranormal happenings in the dark streets of London. Think of it a bit like a mix of James Bond and the Ghostbusters. The success of the comic (and the reason it has crossed over into American pop culture) is because of its very real and relatable main character. 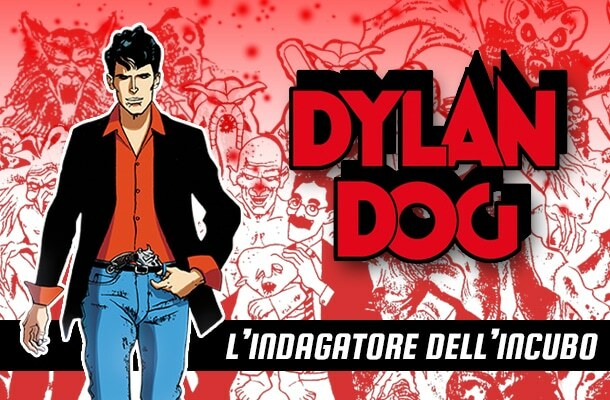 The language in “Dylan Dog” won’t be too hard for intermediate learners, but it presents a few challenges. Dylan is a detective, so the dialogue won’t always be to the point. You’ll need to have the ability to catch certain things and put pieces together to understand the mysteries. Dylan’s sensitivities also lead to more advanced grammar structures as he tries to contend with the problems in his life. His love life is full of flirtation and eventually desperate reasoning, which often leads to conjunctive tenses. He and his partner also often try to predict and hypothesize, meaning you’ll come into contact with future and conditional structures. If you feel like you’re ready to tackle your grammar demons, “Dylan Dog” is waiting. “Corto Maltese” has been defined as “illustrated literature” and has won various awards for its fantastic illustrations and timeless tales. 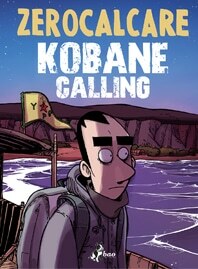 Corto, the main character, is a sailor, sage and rogue who finds his adventures in every corner of the globe. The stories take place in the early 1900s and put Corto in contact with some of history’s most famous personalities like Hemingway and Stalin and always in the middle of physical and ideological struggles. “Corto Maltese” is a step up from our “good vs. evil” hero stories like “Tex” and “Dylan Dog.” It’s more thoughtful, ideologically inquisitive and often references turn of the century literature and history. 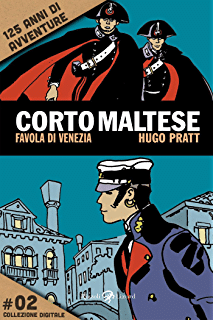 Readers of “Corto Maltese” should be very comfortable with the standard past, present, future and conditional tenses in Italian and familiar with the subjunctive. They should also be ready to delve into the remote past, which is rarely used in conversation. “Corto Maltese” will also be quite difficult if you don’t have a basic knowledge of history and literature. “Corto Maltese” isn’t the most difficult comic on this list in terms of the level of Italian used, but it may be the most difficult contextually. It may also be the most rewarding. Zerocalcare, the alter-ego of the comic’s author, is an angsty, cynical yet above all modern young man who is constantly over analyzing the contradictions and absurdities of modern society. “Zerocalcare” is home to an array of complexly satirical characters that excel in exposing the flaws in ourselves and our ways of life. “Zerocalcare” is full of wordplay, slang, cultural references and parolacce (curse words). It’s not afraid to dive into the most taboo and complicated issues with biting humor and satire. Readers interested in the world of “Zerocalcare” should be comfortable with most grammar structures in Italian to the point of being ready to play with the language. Basically, if you decide to start reading “Zerocalcare,” you should already be pursuing fluency. Chances are, once you start learning Italian by reading comics, you won’t want to stop. The good news is that you won’t have to. While this list contains our favorite fumetti and some of the best pieces of Italian illustrated fiction, they’re far from the only options. 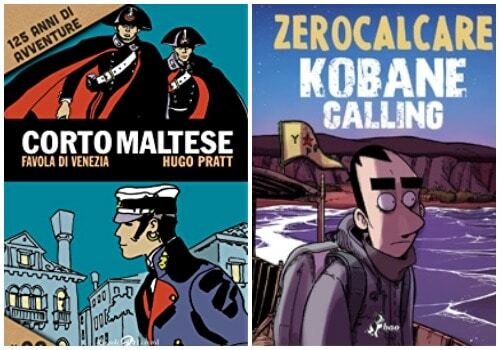 Check out this list for a more exhaustive look at the world of Italian comics.